with a maritime history stretching back over 170 years. Our fisheries in Victoria are diverse and small-scale, fishing from small boats with low-impact fishing gears. They operate under strong fisheries management controls, and are committed to sustainable harvested seafood for future generations. Small-scale fisheries are increasingly recognised as making a significant contribution to nutrition, food security and sustainable livelihoods, globally. They are community and family based, and rooted in local knowledge and culture. 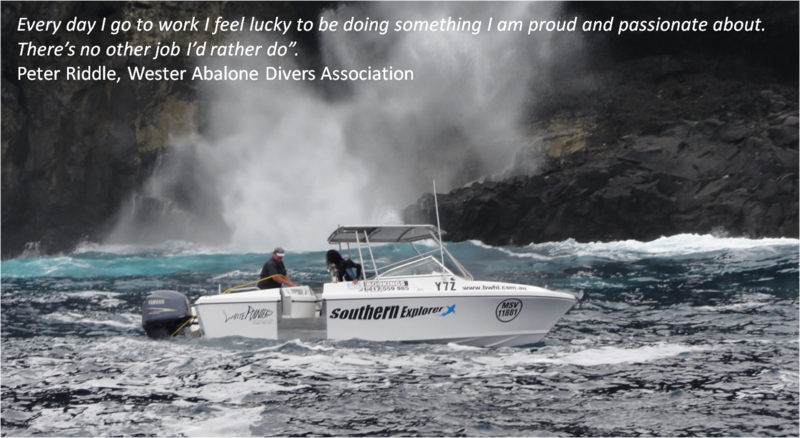 ​Both men and women play an important role in Victorian fisheries. While men often dominate the catching of fish, Victoria has women fishers at sea, and women play a key role in linking fishing activities with shore-based support and distribution of benefits to our communities. Important economic and social benefits flow into rural and regional communities from Victorian fisheries. and to the social and cultural make-up of our coastal communities. Victoria's wild fisheries are diverse, stretching along Victoria's coast from Portland to Mallacoota, and through inland waterways. Most of our seafood is caught within three nautical miles of shore. Find out about Victoria's different fisheries, including what the catch is, the fishing methods used, how it is managed for sustainability, and other interesting facts. Click on a fishery for more information! NOTE: This area of the new website remains UNDER CONSTRUCTION - More fishery information will be added shortly!